Horrible that Jake’s life ended that way & so short. I loved him as Pete, always my favorite of the D&G boys. Thanks for sharing so much about these wonderful films! I wept for his parents – I remember his mother as being exceptionaly nice, coming over to see us on location with Jake’s baby sister in the front basket of her bike. Many Norfolk boys lost their lives to WWI before they reached 17. I lost two school friends to motorbike accidents when they were young. Some lads just never grow old. 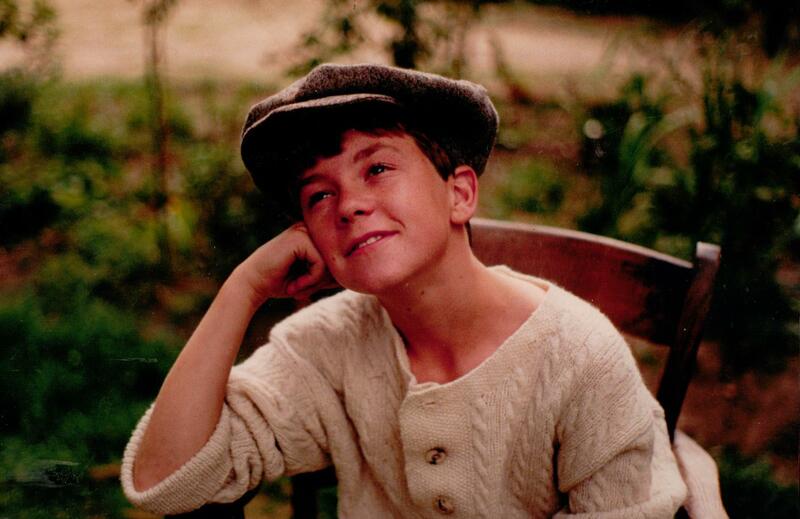 Sad to hear about Jake, we always thought he was the best actor of the DandG’S. Currently sitting in the garden,the sun puts you in the mood for a Ransome read. Thank you for the read, always a pleasure. Thank you for taking the time to comment. It keeps me going! Do let me know if you have any questions about the series. I haven’t written about Jack Watson or the Albion yet but rather lack photos. Brilliant blog. I was always surprised that none of the child actors went further with their acting. They were all very good. Jake Coppard showed huge potential. He could have gone to the top – certainly as a character actor. I don’t either Richard Walton or Henry Dimbelby ever wanted to act. They were just in ‘Coot Club’ for fun. I only hope the work experience aspect served them in later life. This news deeply distressed me.Drugs have destroyed so many lives of decent innocent young people.! Tragic. He was such a bright, talented and loveable boy. And very sensible. The pushers are responsible for homicide. Thank you for all this interesting information, Sophie. I’m sorry that we won’t be seeing most of the characters again, but things move on so quickly. I’m sorry about Jake and I’m going to look up Henry D.’s cookbooks. I’ve been listening to the Swallows and Amazons series from audible.com and have arrived at Missee Lee, which means I’m almost finished, sadly. I was so happy to find your blog on the films and to find out more about them. I’m still reading your first book, which has been delayed by other stuff, but I’ll get around to finishing it as well. I wish your books and all the Swallows and Amazon books could be made into films. They are so much more fun than those films coming out these days. Thanks again! I am so glad you are enjoying the blog. Do let me have any questions you might have. I have separate blogs for the other books. this is the one for ‘Funnily Enough’. I’m currently running a series on Mum and her work in television, as it’s quite fun and links to a website I’ve been setting up for her. She is the only person I know who likes seeing dreadful photographs of herself. http://funnily-enough.blogspot.co.uk/. I had to smile when I read your comment about your mother. One of the things that I liked so much when I first saw your blog was your mother with the otters. She reminds me of my own mother of English ancestry who would have loved to have lived your mother’s life on the farm (too shy to be an actress). She enjoyed having ducks and chickens, etc. even in urban areas. And I am wondering if dealing with chronic fatigue left you with chemical sensitivities. I don’t know why it would, but people can sometimes be affected. Chemical sensitivities are one of my biggest problems and have ultimately changed my life. Your mom is wonderful and I’ve enjoyed all the pics of her dressed up for her roles! My mother loves her ducks. She only has wild mallards now but feeds them twice a day. I think I have always been sensitive to inhalants -news print, cleaning fluids containing bleach and general pollution but also pollen, dust mites and spores of mould in the atmosphere. The interiors of musty boats are not good. However I am grateful that I am not allergic to foods and that my skin does not react except in cases of a real over-load. It was lovely filming on the Norfolk Broads. I have always thrived when working outside – and loved living in southern Africa where I found I was not allergic to the pollen. I lived in arid areas free from mould and found people dipped their horses and dogs, which killed the invisible mites. I hate that you’re sensitive, but I’m not completely surprised with your history. I’m not allergic to most foods, but have problems with perfumes and other chemicals. The Norfolk Broads do look very special. And your mother’s ducks are WILD mallards! Your memories will always be very special to you. Hello Sophie… it’s Claire was Matthews now Payne here! I played Port in Coot Club. Stumbled upon your site by accident after some friends on facebook posted up the video cover as a joke 🙂 Googled to find more piccies, and lo and behold, here you were. 🙂 Lovely reading. So nice to make contact. You must let me know what you are doing now! Nostalgic reading about what seemed to all of us as an enchanted summer resulting in a charming series. Amy, aged 8, the eldest of my and David’s 7 grandchildren was completely entranced by the DVD of Swallows and Amazons Forever which she watched all through in my house recently. Henry’s 3 children are not quite old enough for it yet but I expect George, his 6 year old, will soon be as gripped. I gave the DVD to all our great-nieces this Christmas – a joint present for 7 girls aged 2 to 15! Revelation Films tell me it is one of their top 10 best selling DVDs. I’m not surprised. Of all the drama series I worked on at the BBC it has to be the one I want to watch again. It hasn’t dated. The Chairman of the Nancy Blackett Trust, who David met last summer, is trying to persuade me to write about it – I am racking my brain for memories, wishing I kept a dairy at the time. A vivid memory I have is of how thrilled Henry was by all he could eat from the location catering van. This, combined with a growth spurt, kept the wardrobe person continuakky enlarging his costumes. I believe they have the options and expect they will want to see how audiences respond to the new adaptation of S&A before they proceed. Thank you for your kind words. I have been involved in the new film of S&A but only in a small way. 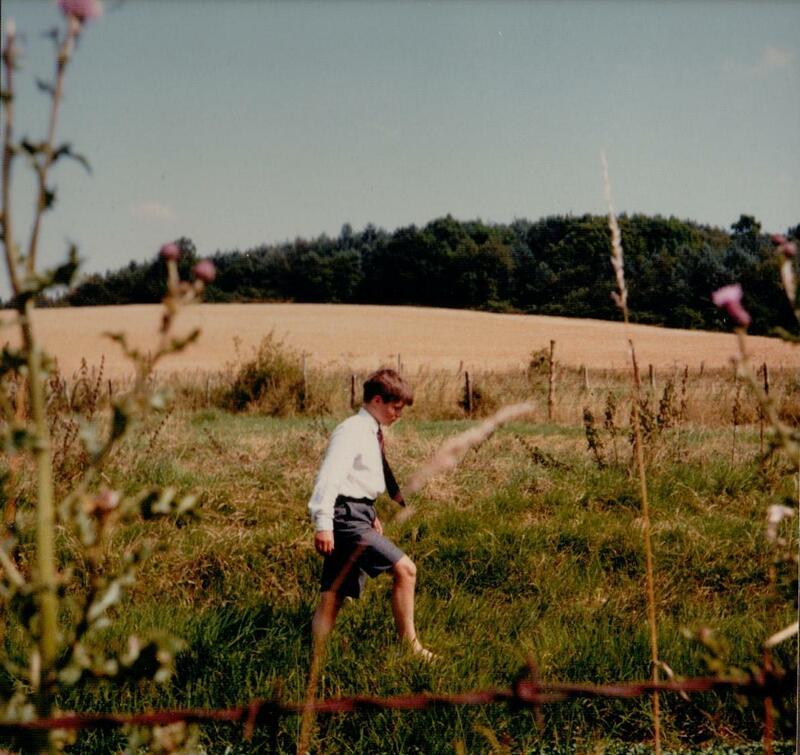 I have four children, the youngest being 30 and the eldest now 42, who all loved watching Swallows and Amazons on the VHS recording I made. The youngest loved the part where Julian Fellows would say ‘push off pronto’. I still have the recording of the series, and think I will watch it! It’s worth getting hold of a copy of the new re-mastered DVD of both the 1974 film of Swallows & Amazons and ‘Coot Club’ & ‘The Big Six’ made with Julian Fellowes in 1983. You can always order them from the library, or on line. I have the links on my Swallows and Amazon page on this website. They make good presents. Hi Sophie, my daughter found this site and forwarded the link to me. It’s great to read what everyone has been up to. I’m now living in LA but get back to Norfolk every few years to visit family and friends. My kids are now nearly grown up but did enjoy watching “S&A Forever!” when they were young. How very good to hear from you. I have been in touch with Caroline and Henry, the twins, Nicholas Walpole, Mark Page and Dean Harkness – as well as Sarah Crowden and Julian Fellowes but didn’t know where you are. What are you doing in LA? 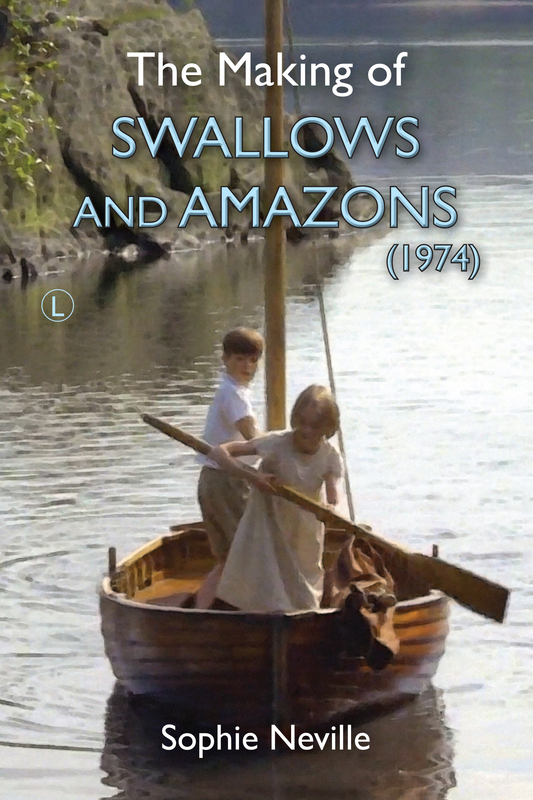 I have been appointed President of The Arthur Ransome Society, and was urged by fans of his books to write about how we made the film of ‘Swallows and Amazons’ in 1974. I’ve brought it out as an ebook called ‘The Secrets of Filming Swallows & Amazons’ and am currently working on the 2nd edition of the paperback. It’s virtually sold out on Amazon. I was persuaded to give a talk on how we made ‘Coot Club’, which I also wrote about on my blog. Please tell me if there is anything I should add or change. I now live on the south coast of England but it would be great to meet up if you are ever over. The girls and I keep meaning to meet for lunch in London. They are very well and we keep in touch on Facebook. Hoping all is well with you and your family. I became very fond of your mother. I’ll never forget her description of how she coped, or failed to, when she developed tonsilitus when you were small. Thanks for liking Time to Remember! I love your blog and all the stories of what happened to everyone. The reference to food and cookery especially caught my eye! It’s one of my passions in life and I so admire anyone who can turn food into a living! We took our two daughters for two great holidays on the Norfolk Broads in the 1980s. They loved the two books and the two tv series (which we kept for years on grainy old VHS recordings) and were astonished to encounter one day the actual “Death and Glory” being rowed up river, crewed by look-alikes from the tv series and also the real wherry “Sir Garnet”. I will always remember the sheer joy of a still, flat-calm, early-morning row along the river at Horning. The Norfolk Broads is hard to beat for a family holiday. What a lovely blog Ms Neville, thankyou so much for starting it and allowing people to share their memories of such a wonderful series. I introduced my daughter to both Swallows and Amazons and the series from 1983, which I’m currently watching again for the umpteenth time. They are so delightful and were instrumental in taking my family to Norfolk and the Lakes to learn sailing and buying a traditional sailing boat. The new S and A isn’t a patch on your film! Keep up the good work and I will now go in search of your ebook and the latest version of the series on DVD, as my copies are a little dated.